Two heavy weights of the IPL, Chennai Super Kings and Mumbai Indians, both of whom are the joint highest successful teams of the league, winning three titles each, will clash against each other at the Wankhede Stadium in Mumbai. With a win in the last match against Rajasthan Royals, Chennai Super Kings are with three wins from three matches and are placed at the top of the points table. Batting first on a sluggish surface, Chennai Super Kings did not get off to a great start and lost openers Ambati Rayudu and Shane Watson cheaply. It was then the partnership between Suresh Raina and MS Dhoni which set the stage for the team. Raina in an attempt to up the ante was dismissed off Jaydev Unadkat after which it was an absolute Dhoni masterclass. With Dwayne Bravo's useful cameo towards the end, Dhoni took the team to 177. A late resurgence from Rajasthan Royals did not prove enough as Chennai bowled well and ultimately sealed the match.Each of Deepak Chahar, Shardul Thakur, Imran Tahir and Dwayne Bravo picked up two wickets. 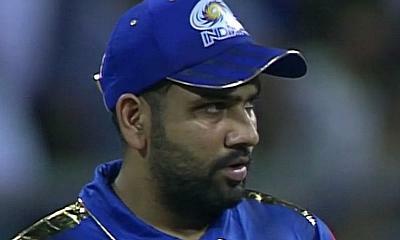 Like every year, Mumbai Indians have now lost two out of their three matches and have moved down the points table. The team posted 176 in the last match against Kings XI Punjab, credit to a late blitz by Hardik Pandya but Kings XI Punjab's top order proved too good for them as they won the match with eight balls remaining. Mumbai's opening partnership of Quinton de Kock and Rohit Sharma, Pandya brothers and Jasprit Bumrah will play a major role in the match against Chennai Super Kings.